Veganism. Pure and simple. An approach to health and lifestyle that embodies ethics, morality and all that is righteous. Why then, am I bothered by some of it? I get the idea of avoiding animal products and bi-products: flesh, bone, blood, skin, fur, milk and eggs. I get the idea that people are concerned about the ethical treatment of animals, caring for the environment and the health and nutritional well-being of humanity. I get that. What I don’t get is how vegans can promote this lifestyle while also promoting the production of plastic, non-biodegradable products like shoes and fake fur. Vegan opposition to the use of leather, seems to have limited, healthy alternatives. We are out of control creating plastic clothing. Sure, some of it is made from recycled plastic bags, but once it gets a hole in it, or becomes rank from sweat not really “wicked” away, these garments head to the landfill or incinerator. Just like any other plastic, they emit pollutants when burned, and one has to believe that they may well emit toxic fumes in stable form. Perhaps the alternatives for vegans should not be plastic based products, but rather a support of companies that ethically produce leather, wool and cotton. In the long run, these are better for the environment than petroleum or plastics as they are completely compostable. I also don’t get the vegan promotion of processed foods like meat and cheese alternatives. Some of these things come from reputable food companies and are natural or organic, but many of these products are loaded with salt and preservatives. They are far from healthy. I’m a vegetarian because I think the idea of eating an animal’s flesh is disgusting – for me. It’s a personal thing kind of like not liking tomatoes. I may not want to eat meat, but I don’t mind if other people do. In fact, I favor the continued cultural practices of animal husbandry. I believe animals are helpful to humans and should be ethically and morally used to those ends. I believe in the family farm with horses, cows, chickens, and sheep. I believe these animals benefit from the kind care and attention of their owners, and their owners benefit from the bi-products these animals create: meat, milk, eggs and wool. If I did eat meat, I would be very selective about the meat I was choosing. I would want to know that it was grass-fed, not full of hormones, and from an animal that was treated respectfully. And, when choosing dairy or buying clothing, I buy from companies that are using ethical practices. 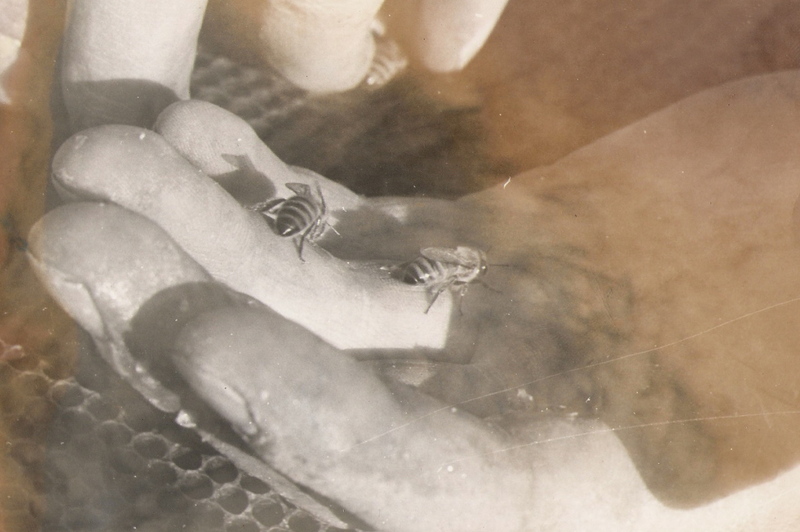 The last reason I am not vegan, my papa is a bee-keeper – brave man that he is! 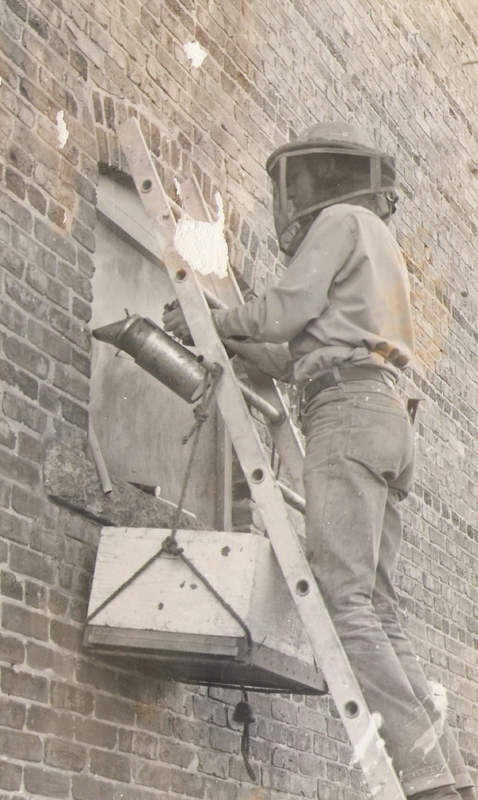 The photos below were taken in 1975 when a colony of honey bees made a home for themselves in the St. Charles Post Office, and my father, the local bee-keeper was called to remove them. I guess it’s all in your perspective as to whether bee-keeping is ethical, but just like the bears, we humans love the honey. What a nice article! And thanks for making me a star! I love those old photos. I bet that your writing will provoke some thinking and dialogue. I bet it will encourage some people to be more deliberate and conscientious. I share your perspective so deeply. Our level of mutual understanding, and pride for one another, is gratifying. From reading and re-reading the Lives of a Cell: Notes of a Biology Watcher, I’ve come to believe that vegetarianism can never be pure. The animal kingdom and the plant kingdom have a blurry line of distinction. There are some plant-animals. And there are symbiotic creatures from the animal kingdom that are components of plants. Like you I choose the animals that I consume based on the quirks of my palate and sensibilities. It’s because I eat some big flesh occasionally, fish and chicken, I consider myself an omnivore and since you eat none of that I consider you vegetarian. I’m getting more involved with the local beekeeping club that is a mix of beginners and high level professionals, some retired Cornell ag and entomology professors and a retired State bee inspector. I’ve been learning a lot and at an increasing rate. I’m excited for the upcoming season and have new ideas I’m anxious to try out. I’m especially thrilled that the mainstream has switched from a reliance on drugs and chemicals to some new sophisticated organic methods. 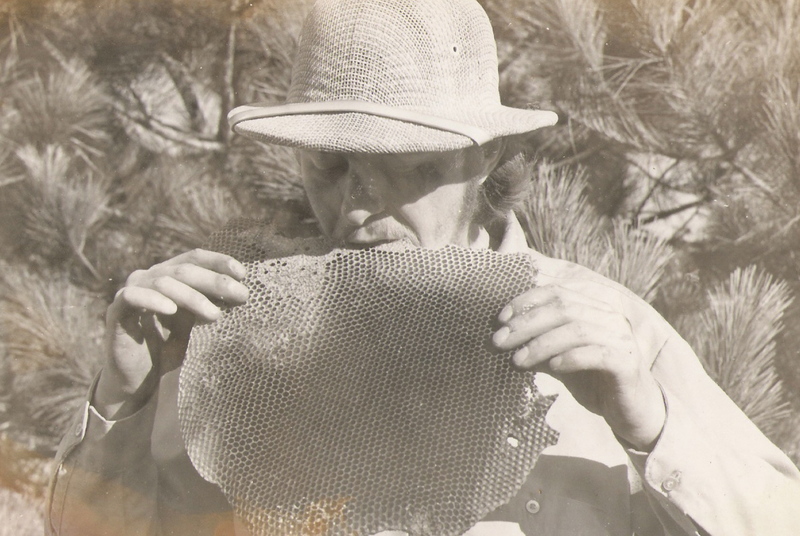 My attempts at organic beekeeping have been so frustrating in the past, and I was ridiculed, but times have changed. I’ve been mulling over whether or not to comment — I’m not a vegan, and I don’t like self-righteous people any more than the next person so I’m on board with you there. But I read something pretty interesting several years ago that changed my thinking about “going green,” for lack of a better way to put it. A big pop star (I’m pretty sure it was John Mayer) converted his tourbus to biodiesel, but was getting a lot of flack for still driving an SUV, drinking bottled water, etc. I’ve searched around and can’t find the blog he posted at the time, but as I recall his gist was choosing small, do-able, sustainable changes. Picking ONE thing to work on, to do better, and then doing it for the rest of his life. An every-change-counts mentality. It seems so weird that he was getting negative press for trying to do something better for the environment, because it wasn’t better enough. Could he do more? Yeah. But we all could. And I realize we can’t just all sit back and rest on the laurels of what we’re already doing right, we always have to strive for better, blah blah — but I also think it’s a little disingenuous to point the finger at a group of people who have picked *something* they can do to try to better the world they live in, and say that they’re not doing the right thing, or doing enough things. Your post seems to be mostly about small farm vs big agribusiness super-processed etc — but I guess I just see vegans (even big supporters of local and organic) getting a lot of flack for not being perfect, and it seems unfair. Rachel, I think you make a good point – whatever little step we take is important, and I’m glad you commented. It’s nice to hear other ideas. My perspective is only a cursory outlook and certainly not meant to point any fingers at a group as a whole. I am just noticing some of life’s little inconsistencies. Not all vegans are the same. You make some very global assumptions that are unfair. Not all omnivores promote the same thing, nor do all vegans. I eat whole foods, fresh veggies, and lead a healthy life, if an imperfect one. I do not preach, but I do beseech – not for myself, but for the animals. It is called ethical consistency. I use cloth bags when I go to the market and rarely drive my car. I compost and recycle. Imperfect, but trying. And I DO mind if other people cause the suffering and exploitation of animals, because they have no voice. You might be of use to me, but I would not dream of exploiting you. Live and let live — the animals too!